New event series this year! The Jewish Studies faculty is hosting quarterly seminars featuring the research projects of our Jewish Studies Graduate Fellows. These talks will take place at lunchtime, 12:00-1:30 pm, on the UW campus. Join us to hear about the latest innovations in the field from our talented class of 2016-17 fellows! Vegetarian lunch will be provided; please RSVP so that we can plan our catering accordingly. 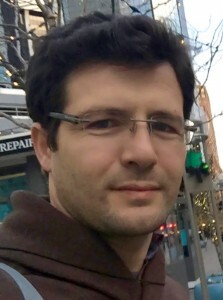 Ozgur Ozkan is a PhD candidate in the Jackson’s School International Studies doctoral program. He holds a BS degree in Systems Engineering and an MA degree in Regional Security Studies from the US Naval Postgraduate School. Ozgur is planning to study Sephardic Jewish heritage in the Northern Aegean and Southern Marmara, especially in Canakkale and its vicinity. He is particularly interested in Sephardic Jewish participation in the Ottoman Gallipoli Front in the First World War and the immigration patterns of Sephardic Jews of this region. Emily Gade is a PhD candidate in the Political Science Department at the University of Washington. Her research focuses on civilians in conflict zones, political violence and nonviolent resistance, and she is especially interested in the role of ZAKA recovery workers in Israel. Before coming to Seattle, she worked as a contract research and writer, most recently completing research for the LSE Center for the Study of Global Governance on peace agreements. 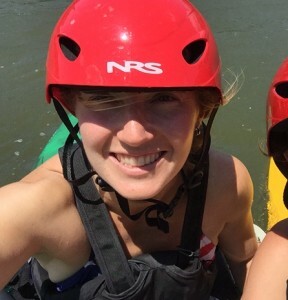 Emily also enjoys athletic endeavors, having competed at the 2012 Olympic Trials (rowing) in the lightweight double sculls and placed second in that same event at the 2013 US National Team Trials. Professor Noam Pianko will serve as moderator and respondent for these presentations. For blog write-ups about our events and more information about annual programs like the Stroum Lectures, visit our Events page.